With a fleet of state-of-the-art sailing ships, Star Clippers have created the ultimate sea-going experience for comfort-loving, affluent passengers who love both the traditions and romance of the legendary era of sailing ships. 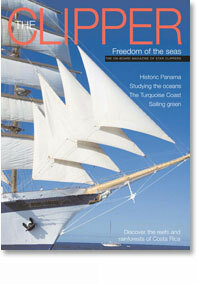 As a key part of their relentless search for ways to further enhance their cruise product, Star Clippers commissioned us to publish "THE CLIPPER" - an exclusive in-cabin magazine. With guaranteed exclusivity, it is the only publication to be distributed in each of the cabins and suites onboard Royal Clipper, Star Flyer and Star Clipper for a full year.